As technology offers students more access to the digital world, teachers have to start thinking outside the box on how to prepare their students for the future. King High School teacher Katherine Hewett is doing just that, but using an unorthodox but futuristic method. 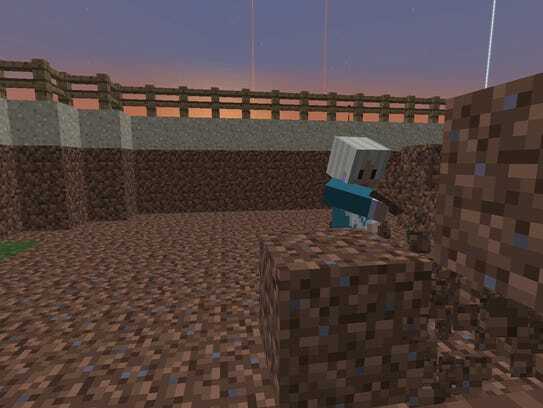 “I use the game Minecraft to teach my students about 21st century skills,” she said. That's right, Hewett is using video games in the classroom, and it's not as crazy as some may think. Hewett said she started to ask herself questions about who was teaching and mentoring these students when they entered these virtual worlds. That was when Hewett decided she was going to integrate to virtual reality. Her goal? To teach the students design, coding, programming and visual media so that they are prepared for the future. And Minecraft came on to the market, Hewett knew she had a chance to make this dream a reality. Since Hewett started the course in 2013, she has had students find careers in the information technology field working for big data companies or working on virtual reality projects of their own. Hewett said the class starts with a theme topic. This year's classes have different worlds as the game is integrated into all of Hewett's classes. Some class periods are designing fantasy worlds like Mario World and Tron whereas others are replicating real life places like Alcatraz Prison and the Winchester Mansion. Sophomore Brendan Fuller said taking the animated course will open doors for him in the future. Hewett said “Minecraft” has not just changed her students lives but hers as well. Hewett said the animation course is a first step. She plans to take the next step with virtual reality soon.